Today I made scrambled eggs on toast for Alessia which always makes me crave it for myself! I make mine with two eggs, almond milk, salt & pepper. I put it on slice of wholegrain seeded toast with butter and I also had a black coffee & water. I had an OB appointment in London so after that we went for lunch at Natural Kitchen which is our favourite spot! 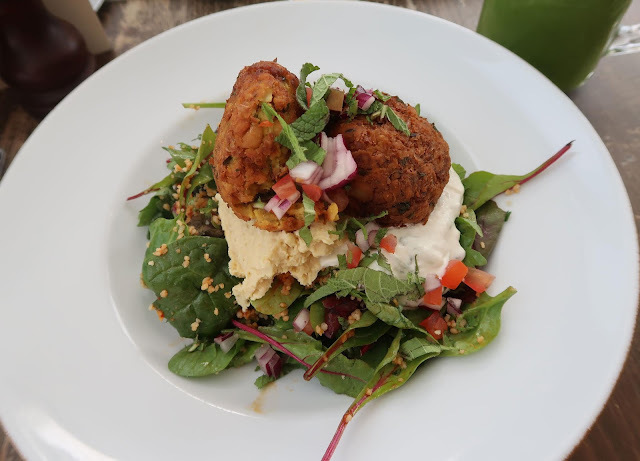 I always get the same thing, it's the falafel salad with hummus, tzatziki, mixed leaves & couscous. This is so good and filling! 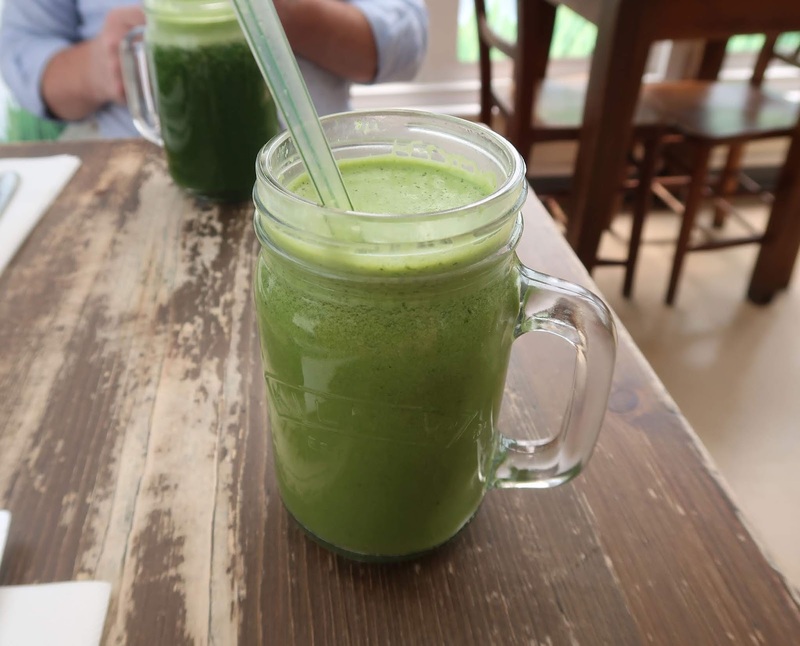 I also got the Cleanse smoothie but it wasn't as good as the Green Machine one I normally get. This one is a healthier version with ginger, cucumber and kale but it's very watered down and not as sweet as the other one! I also took my bottle of water with me and drank that pretty much all day. 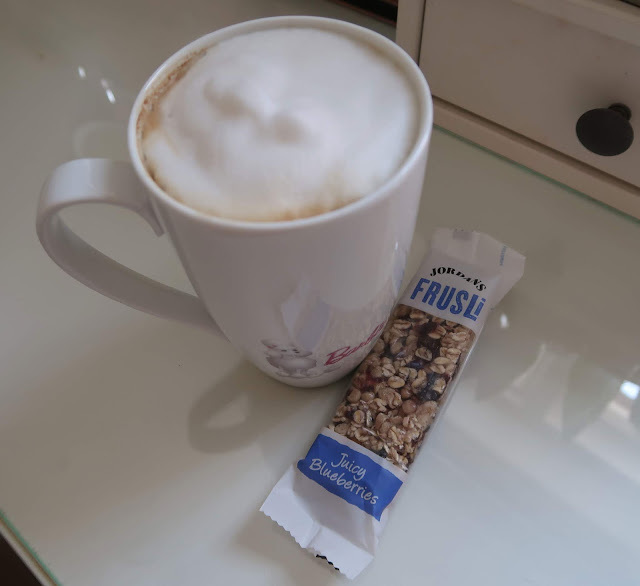 When we got home I was exhausted and made myself a frothy coffee using the Almond Breeze barista milk and had it with a blueberry frusli bar. I actually featured these in my favourites because I love them so much! 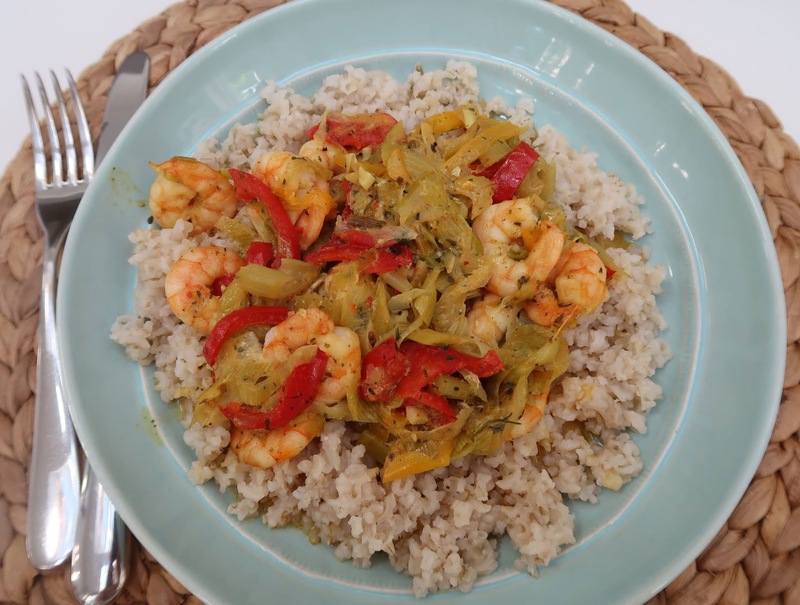 For dinner we had prawn curry with leeks, red peppers, onions, coconut cream and brown rice. This is one of our family's favourite go-to meals! The only difference was I used brown instead of white rice as I'm trying to do more wholegrains. It took a lot longer to cook but it was really yummy and the kids didn't complain! 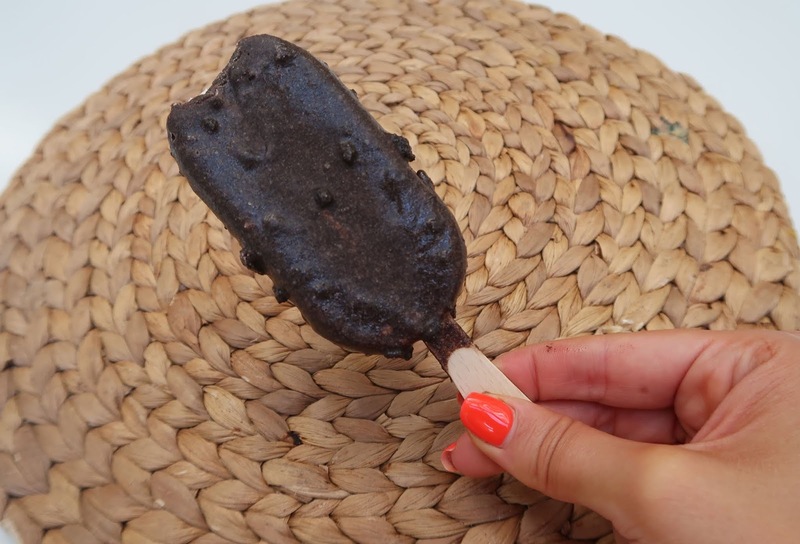 After dinner I had an Oreo ice-cream stick (these are to die-for). Much later in the evening I also had a dark chocolate spelt cookie and about four of those hazelnut & cocoa wafer rolls I normally put in a bowl of ice-cream...I wasn't even particularly hungry but was stressing about a stupid lost library book! Looking back I felt kind of stupid for getting so stressed out but pregnancy hormones will do that to you! To drink I just had lots of water. I ended up filling my water bottle up about three times which is the norm for me. 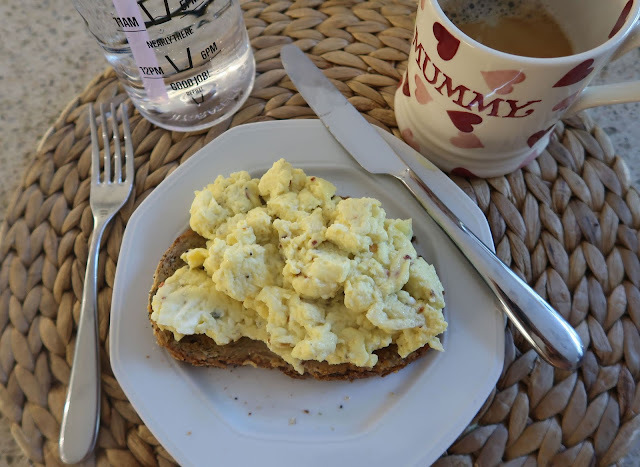 And that's everything for this week's What I Ate! You can watch my video from today above. Let me know if you ever get stressed about stupid things...hahaha! I definitely do! Sounds like a great day full of yummy food! Don't worry, I do the stress eating thing too haha.. Funnily enough yesterday I was in tears stressing that I didn't make enough pasta salad for a party, as it turned out I actually made far too much. But when you're stressed everything gets blown out of proportion huh! Hey Anna, I love reading your blog posts & also watching your videos!! You’re amazinnnng. I’m from Lebanon (Midlle East) & I’m a viewer since 2011!!! I always stress about small things - like last night - randomly worrying about my passport. I'm not going on holiday, or anywhere else exciting - but am I worrying - yes haha!